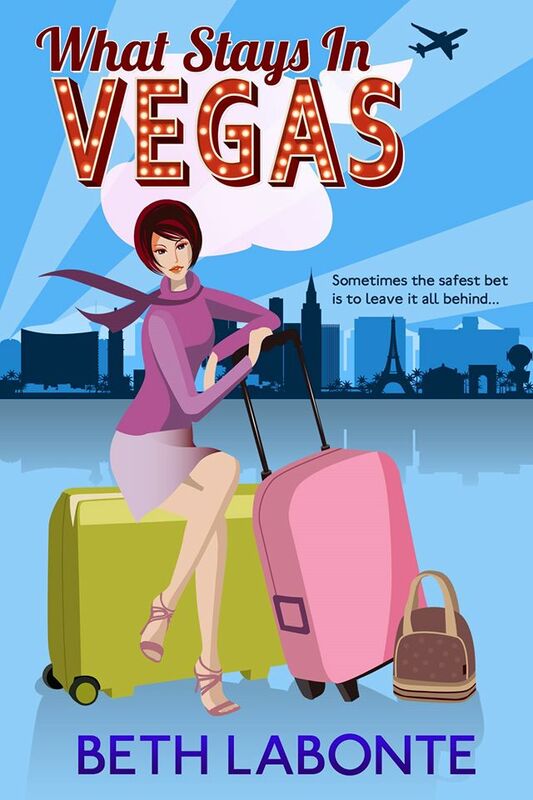 So when Tessa is suddenly transferred to the Las Vegas branch of her company - playing wingwoman to her freshly divorced boss, juggling a client-from-hell, and catching the eye of one very eligible coworker - will her life finally be shaken up enough to straighten itself out? I’m late to the Beth Labonte books game. Sort of. Apparently, I bought What Stays in Vegas on June 6, 2013. Why I didn’t read it until now, I’ll have no idea and I’m kicking myself. After reading Beth’s novella in the Love in an Elevator Romantic Comedy anthology, I grabbed the audiobook and gleefully listened on my daily commute, giggling for a couple hours each day until I was finished. Beth is officially on my No-Look-One-Click author list now. I snagged an interview with her (read it here) and am happy to say that we’re officially best Whovian friends. #WhoviansUnite! Ok maybe not, but a girl can dream. 🙂 On to the book! 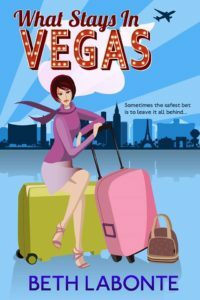 What Stays in Vegas is pretty much the perfect representation of what I think all Chick Lit and Romantic Comedy novels should be. Awkwardness, laughter, taking chances, adding to the monotony of adulthood, ya know…real life? It was extremely easy to relate to Tessa being bored at work (don’t tell my boss that, even though I’m sure he knows). Fortunately, Tessa had an opportunity that she couldn’t pass up (lucky girl!) and despite some drama, the decision to even attempt a big move like she did (even if temporary) is more than I could ever do. No, I’m not jealous at all. *eyeroll* I am inspired though. Thank you, Beth! Erin Spencer narrated the story and was more than perfect. (I’m saying that word a lot in this review…) Definitely looking for other audiobooks that Erin has contributed to. I was ecstatic to see that Beth had her narrate Summer at Sea also! I’m almost done with that one so expect another Beth Labonte review shortly!